Three old men die on a stormy November night: one by deliberate violence, one in a road accident, and one by an unknown cause. Inspector Pascoe is called in to investigate the first death, but when the dying words of the accident victim suggest that a drunken Superintendent Dalziel had been behind the wheel, the integrity of the entire Mid-Yorkshire CID is called into question. ©2014 Audible, Inc. (P)2014 Audible, Inc. Brilliant interpretation by Colin Buchanan of a great story. 8 sur 8 personne(s) ont trouvé cet avis utile. 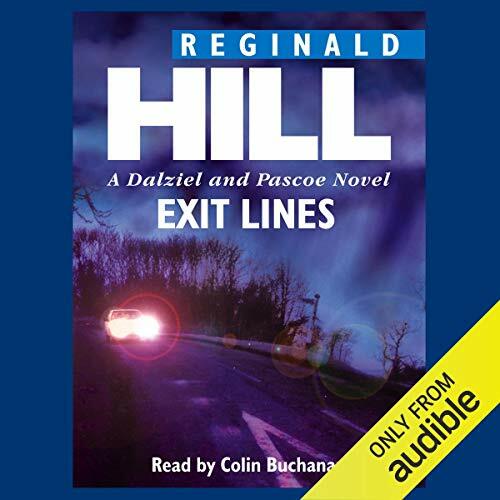 I've long been a fan of Reginald Hill's Dalziel & Pascoe series, and this entry is one of my favorites. And Colin Buchanan is a first-rate narrator, doing the voices and the accents quite well. I'll buy the rest in this series, and I hope more of the series becomes available. 6 sur 6 personne(s) ont trouvé cet avis utile. This book had some great characters who were believable and funny. It also has a decent plot line. I was surprised by the ending. This will make a great listen for someone who is driving or keeping them entertained while engaging in some boring task. 5 sur 5 personne(s) ont trouvé cet avis utile. Not the best Dalziel & Pascoe - but good enough. Pascoe is in the lead this time and maybe that is why the plot seems to wander around a bit, but it keeps you listening. Possibly my favorite Reginald Hill, for some reason I didn't find listening to it satisfying. I was unable to take in all the subtle or witty references as I would on the page. The reading was fine, though I was taken aback by Pascoe's strong northern accent---since he was college educated, I would have expected him to have a more up-market accent. This novel has less of Daliel in it than most others, and Daliel is the source of the most funny bits, but the portrayal of old age and its difficulties is very perceptive and moving.